Here is your opportunity to get a glimpse at what PhotoGenesis Designs has in the making. This is where you can see the dreams that we are turning into realities. This is a concept that is nearing completion. We hope to be in Beta test mode within the next couple of months. This software is our solution to one of low budget media's biggest problems. Video playback. VHS seems to still be the standard means of live playback, despite its horrible quality, poor reliability and limited shelf life. DVD burning is quickly taking over where VHS left off but it has many shortcomings in itself (quality degradation, playback overlays, somewhat shaky reliability). Our solution to low cost, high quality video playback is firewire/IEEE1394 playback. By utilizing firewire we keep the signal from ever being degraded by using tape media or MPEG compression. 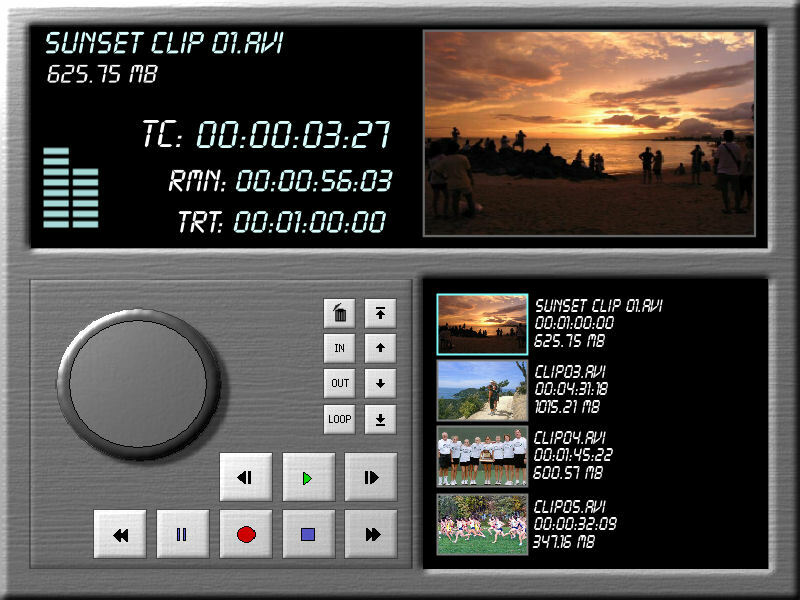 This also allows for back to back playback of multiple clips with none of the problems of DVDs. Needless to say we are very excited about this new technology. Instant color and gobo selection - Press one button and all of your selected fixtures instantly change to the same color or gobo. Focus points - Pre-define a location you want some or all of your fixtures to hit and recall any of the fixtures to that point instantly. 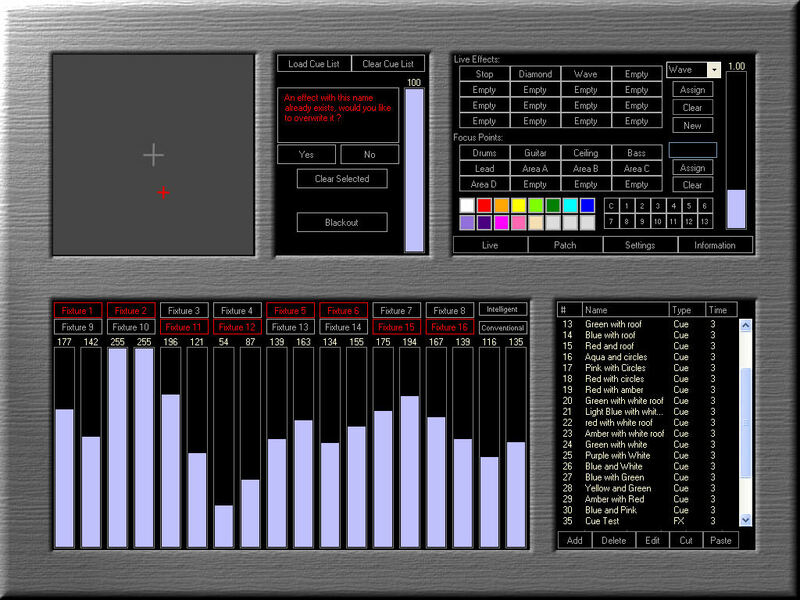 Instant Cue Position Updates - Instantly correct fixture positioning, or lighting area changes on your entire cuelist by updating one focus point. 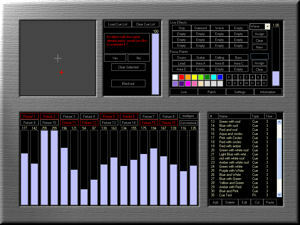 Live Effect Overlays - Apply advanced effects to your intelligent fixtures live with no prior programming. This line is driven towards being able to produce high quality lighting shows with little to no pre-programming, but also gives the ability to program advanced cuelists and effects for a more structured feel. The beauty is that with this powerful console you can mix and match to suit your own particular taste.